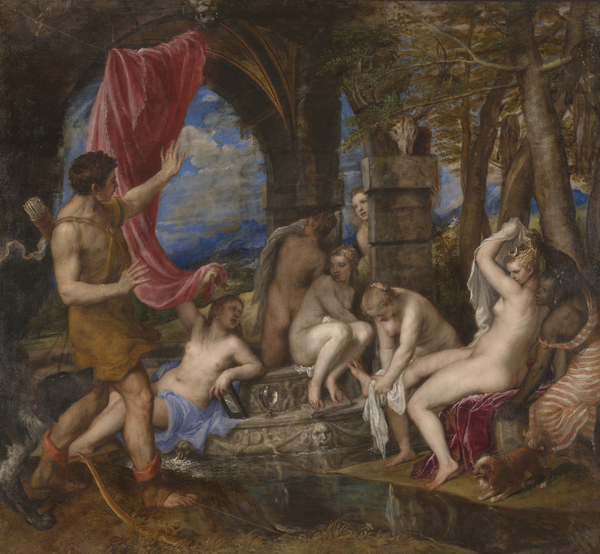 This is a small-scale copy of Titian’s masterpiece Diana and Actaeon of about 1556-59, jointly owned by the Scottish National Gallery and the National Gallery, London. It was Initially attributed to David Teniers the younger, who produced a large number of such copies after paintings in the collection of Archduke Leopold Wilhelm in Brussels. However, Titian’s painting was in the Spanish royal collection in Madrid at the time this was painted and was probably unknown to Teniers. Further research has since reattributed this sketch to Wouters.